Above are among the Barisan Nasional (BN) 13th General Election manifesto which was launched by its chairman, Datuk Seri Najib Tun Razak. To ensure the sustainability of our environment and its resources is very crucial. The BN government previously has put many efforts in order to protect our environment and its resources by setting up the Malaysian Green Technology Corporation towards research and development of renewable energy and energy efficiency. 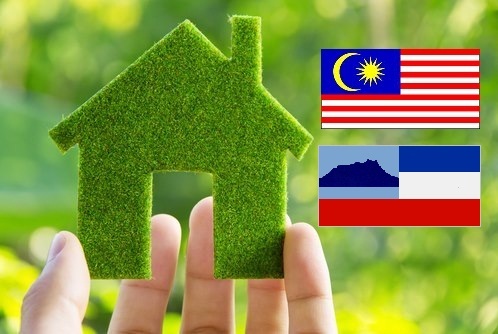 Besides that, the establishment of Green Technology Financing Scheme worth RM3.5 billion helps to provide soft loans to companies which contribute to the production and utilization of green technology-based products. River of Life project which worth RM500 million was set up to transform the Klang River into a vibrant and livable waterfront with high economic value. The BN government through its respective agencies and department has put up various efforts to sustain the environment and increase environmental awareness among the citizens. Protecting the environment is a policy to make quality of life better for this and the next generation of humans. Everyone must persevere in upholding this great task for a better environment and at the same time recognize the need to improve knowledge, value, skills and tools to meet environmental challenges. We in Malaysia are very fortunate because we are blessed with beautiful environment and bestowed with abundant natural resources. Because of our rich biological wealth, the country’s economic growth and socio economic development have continued to depend largely on the utilization of its vast natural resources. Therefore, it is time we realize that when the environment is at stake, it is best to put our political differences aside and work together for a lasting solution. Our environment is our heritage.